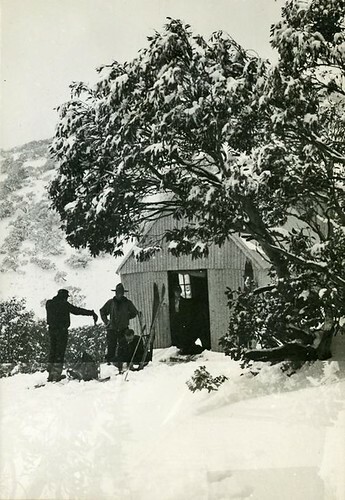 Ski Hut - likely either at Mt Feathertop, Old Federation Hut to the north of Mount Hotham or Mt St Bernard Hospice which is in the Dargo High plains to the south west of Mount Hotham. Eric Douglas wearing the American stetson bought in Alice Springs in 1929. Eric Douglas photography and Collection. Scanned from a family album. (Historic images). 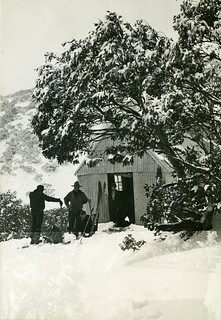 Perhaps someone can identify this hut?